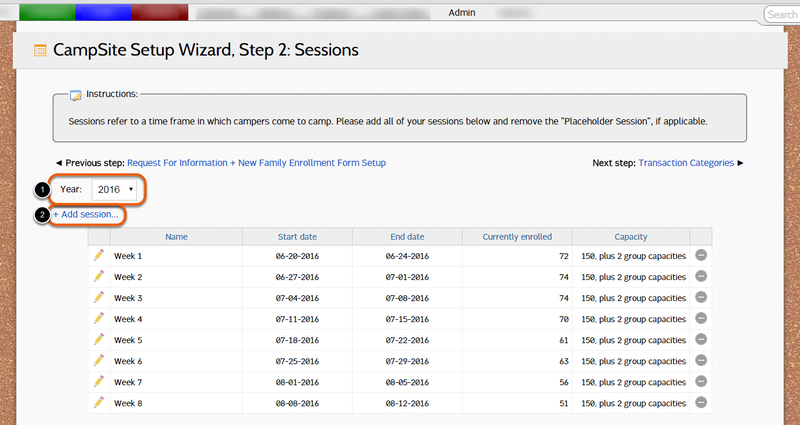 Sessions refer to a time frame in which campers come to camp. 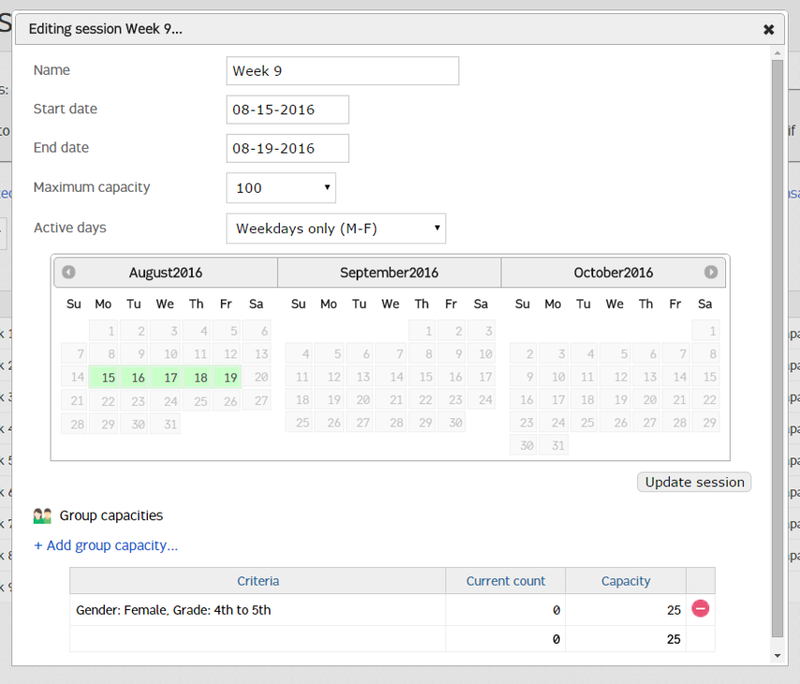 Each session must have a start and end date, and can optionally have maximum or group capacities based on specific criteria. 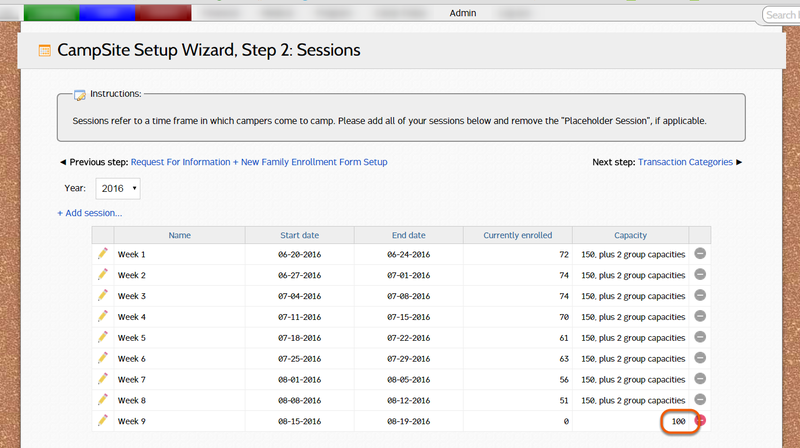 Sessions can be accessed through Admin > Camper > Setup wizard > Step 2: Sessions. Select the Active Days, which refers to the days of the week between the start and end date on which camp takes place. 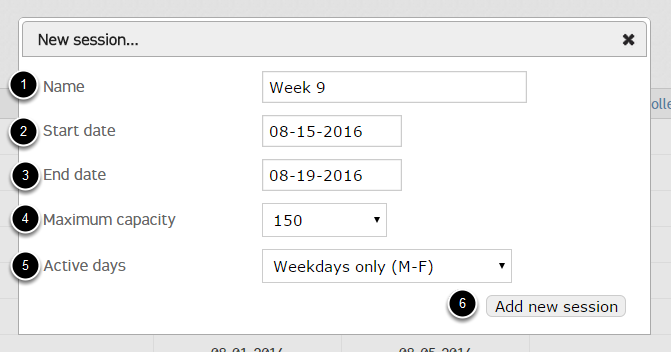 You may choose "All" or "Weekdays only", which can be further tweaked. 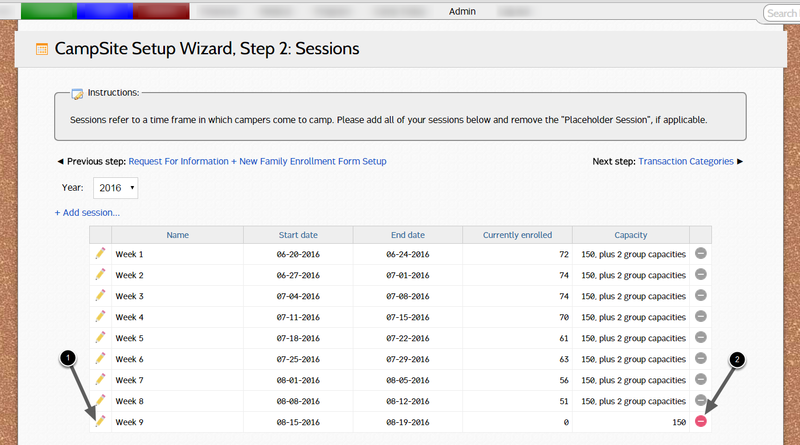 The new session will added to the list of sessions. Double-click to delete a session. 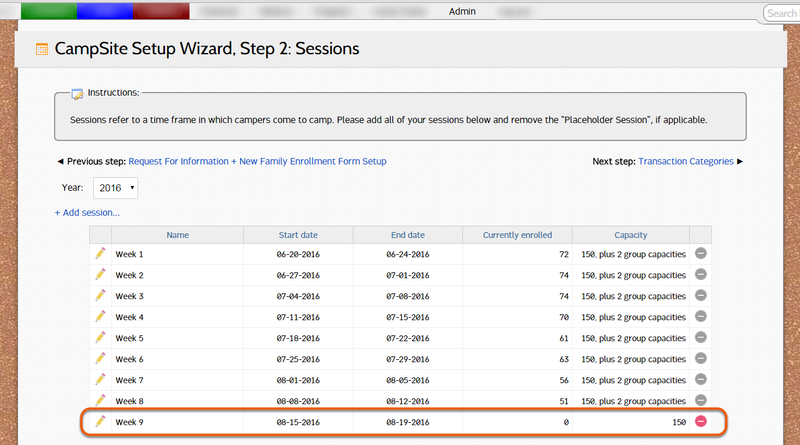 Note: Sessions that are included in any enrollment option bundle cannot be deleted. 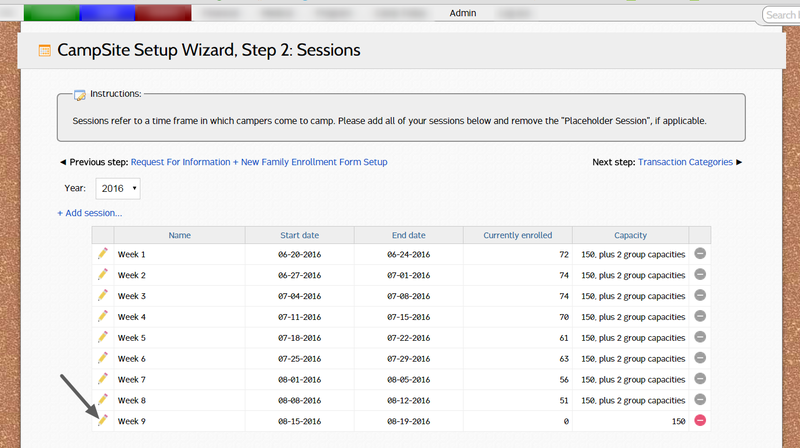 Each session can have capacities set in order to limit the number of campers enrolled. Group capacities refers to capacities based on campers gender and or age or grade. 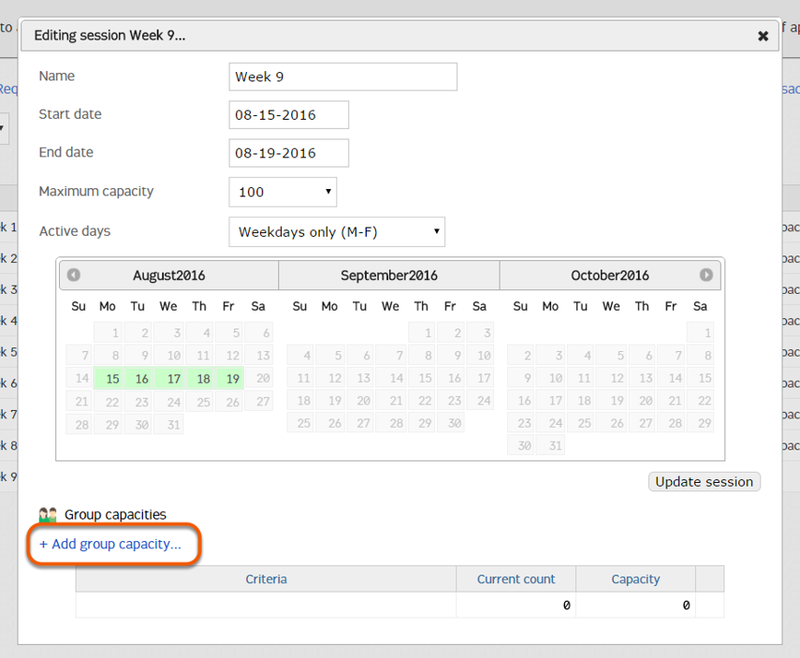 Each session can have multiple group capacities, however, the sum of the group capacities may not exceed the session's maximum capacity. 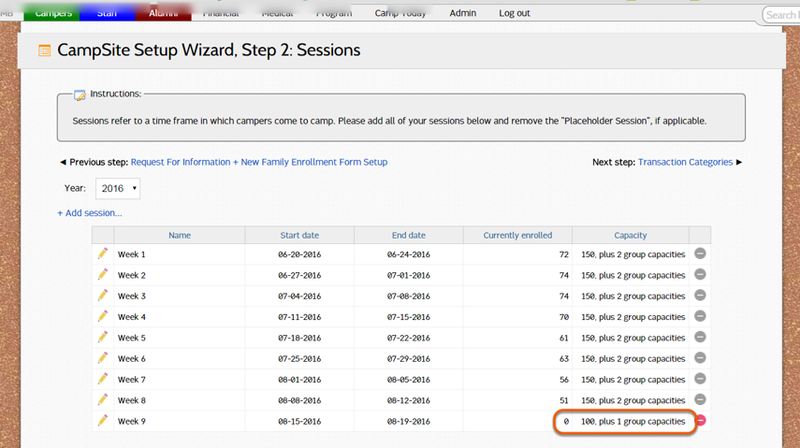 To edit or add capacities, double-click the pencil next to the session. The new session capacity is indicated in the capacity column. Group capacities can be updated by double-clicking in the capacity column. 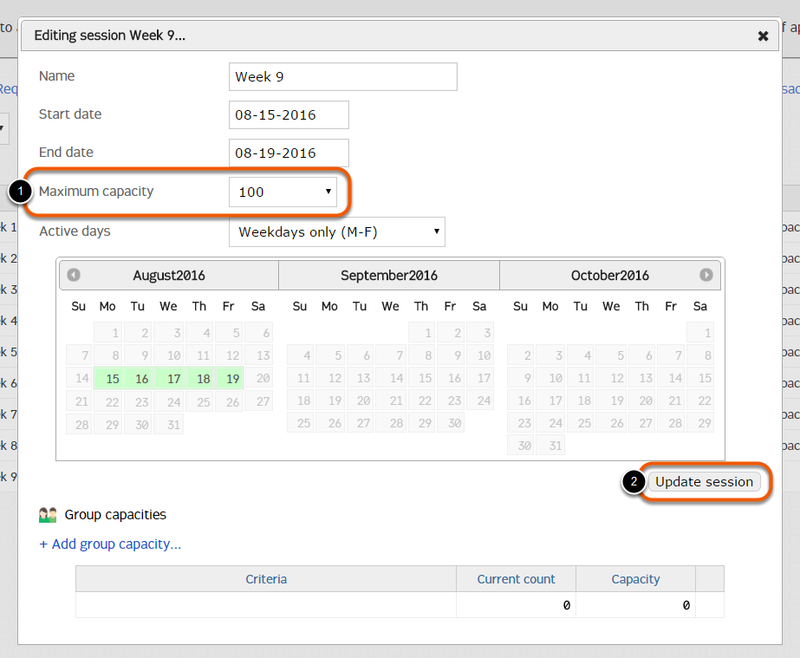 Repeat this process to add additional group capacities. After all group filters have been added, click Update session. 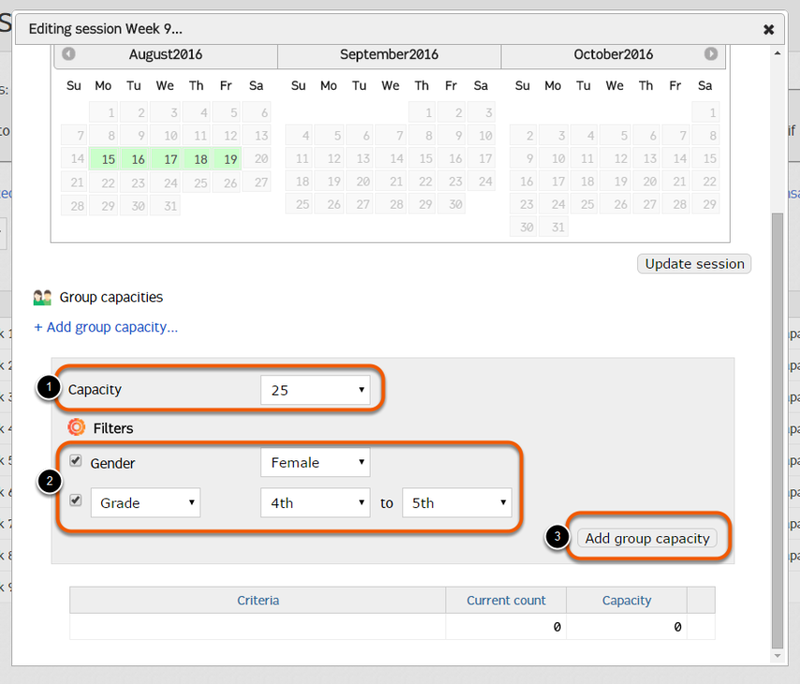 The number of group capacities is indicated in the Capacity column.